Can I define a budget for a group/project? 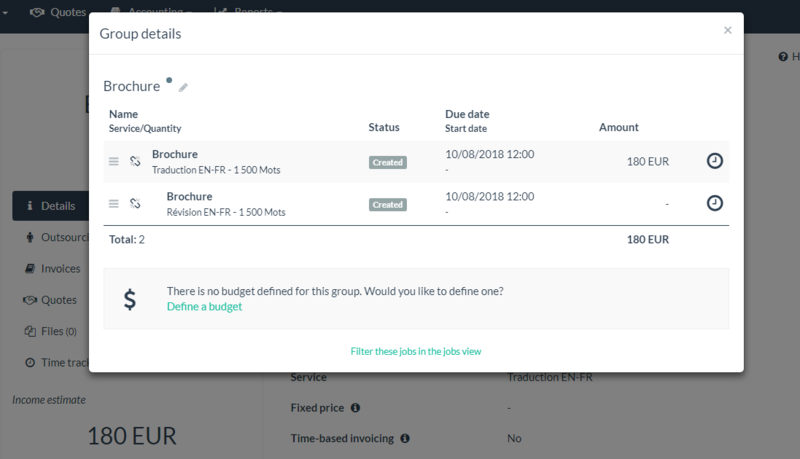 Yes you can easily define a budget for each one of your groups. 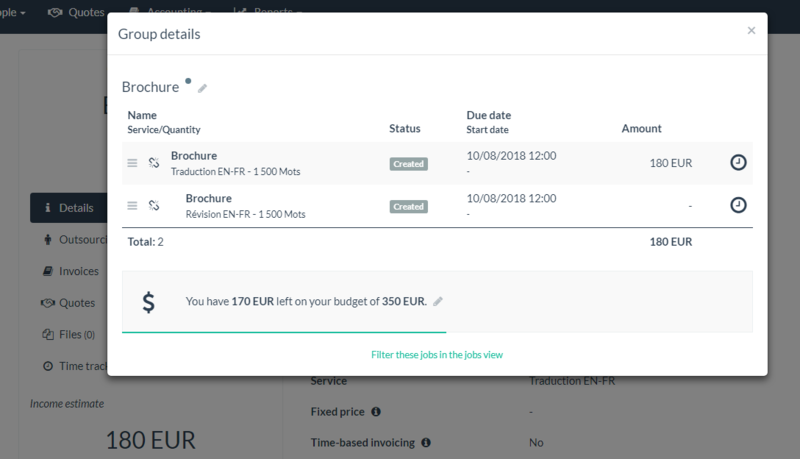 You can define the budget of a group of jobs in the details of this group. 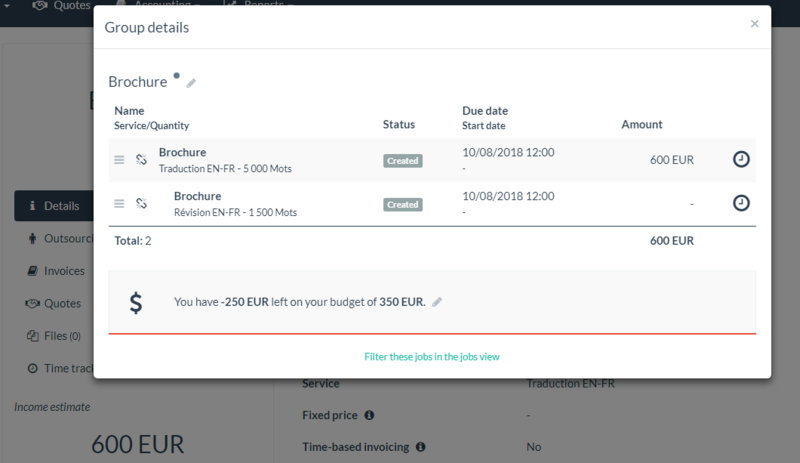 The system will then automatically calculate how much money you used out of your budget each time you add a job to the group.